'eight panels' is a sequence of dense multiphonics chords, each with one common pitch. It draws on my interest in monochrome painting, particularly that of Marcia Hafif, and the way that an apparent single colour comprises a depth of richly layered tones and paint textures. eight panels was commissioned by Rico for the 2012 World Saxophone Congress. 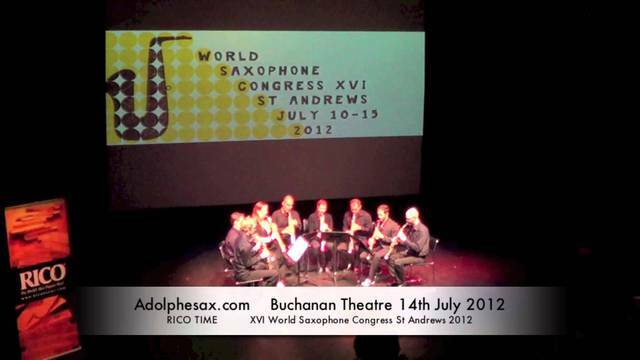 First performed at the World Saxophone Congress, St. Andrews, on 14 July 2012, by Philippe Braquart, Eleri Ann Evans, Jean-Denis Michat, Lars Mlekusch, Henrique Portovedo, Joonatan Rautiola, Javier Valerio and Stacy Wilson.